Use rater pooling to combine the scores submitted by rater groups when too few responses exist in any particular group. Rater pooling must be turned on in the Advanced Settings screen. Be careful not to create circular references (Peer pools to Subordinate and Subordinate pools to Peer) as these will cancel each other out. Note that questions directed to a specific rater group in the Review Items page cannot be pooled with responses from other groups. 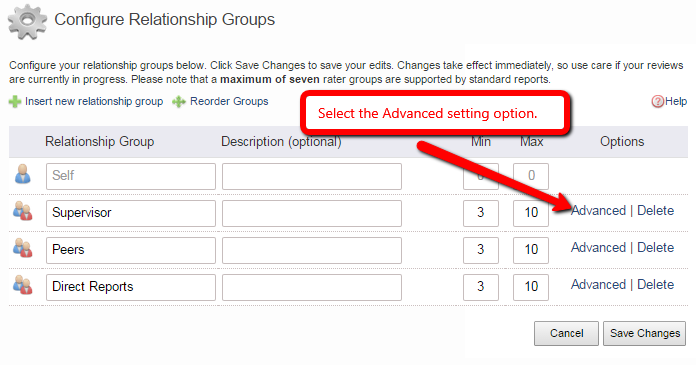 From the drop-down menu, select Setup>> Advanced Settings and turn on rater pooling under the Report Settings section. 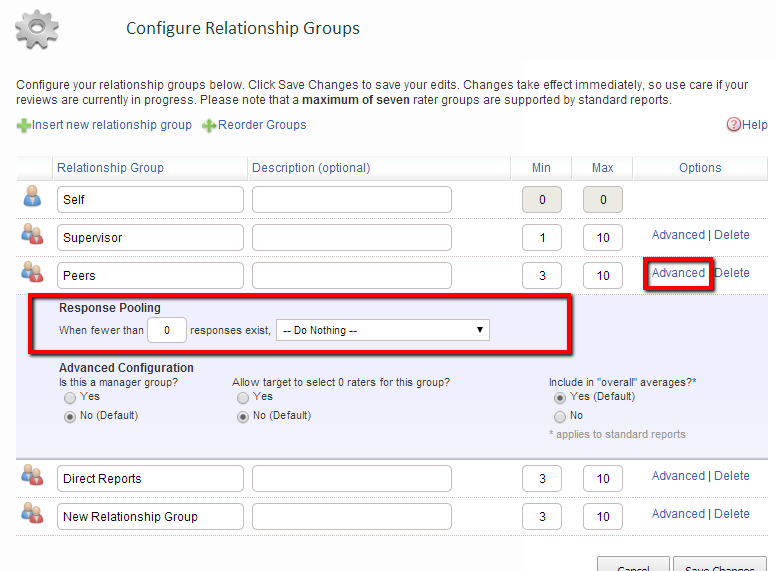 Next, from the drop-down menu, select Setup>> Relationship Groups and click the advanced link for a group you want to pool. There you can determine what groups the other will be pooled with depending on how many people respond. ***This feature is not available on the Starter Edition tool.